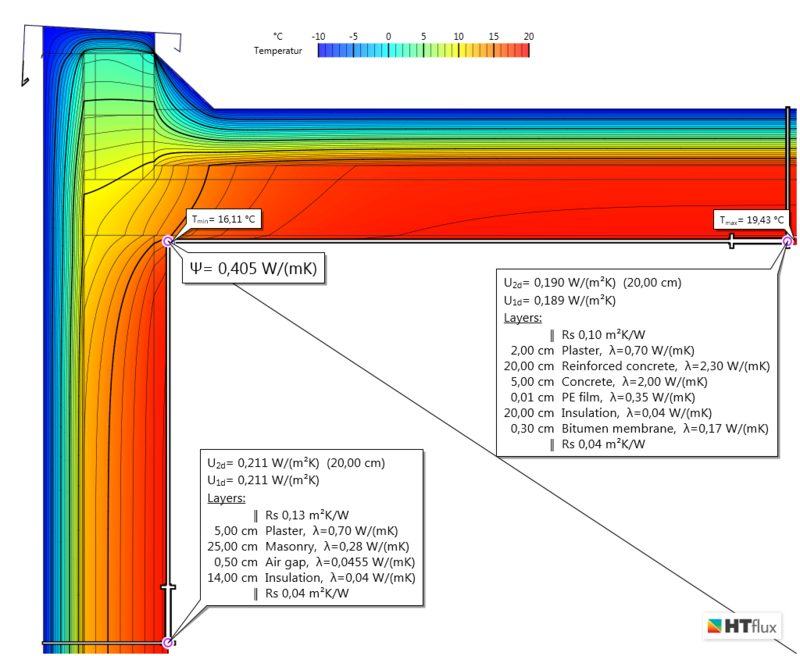 The following example demonstrates how easily and efficiently HTflux can be used to calculate the energy loss of a thermal bridge. After importing the CAD data in DXF format (e.g. created with AutoCAD or ArchiCAD) you can assign the materials with few mouse clicks. If you have created an import wizard you can even skip this point, as HTflux will assign the materials according to the names of your CAD layers. After processiong the simulation, which usually takes only few seconds, you are able to switch between many possible views, such as object view, materials view, temperature, heat flux, relative humidity, partial pressure and water vapor stream. Also the position and value of the lowest or highest temperatures can be calculated and displayed automatically. With one click you can also display the condensation or mold threshold temperatures. If the surface temperature falls below the latter the humdity raises above 80% resulting in a significant risk of mold growth. A further value that can be displayed at any time is the temperature factor f*Rsi. 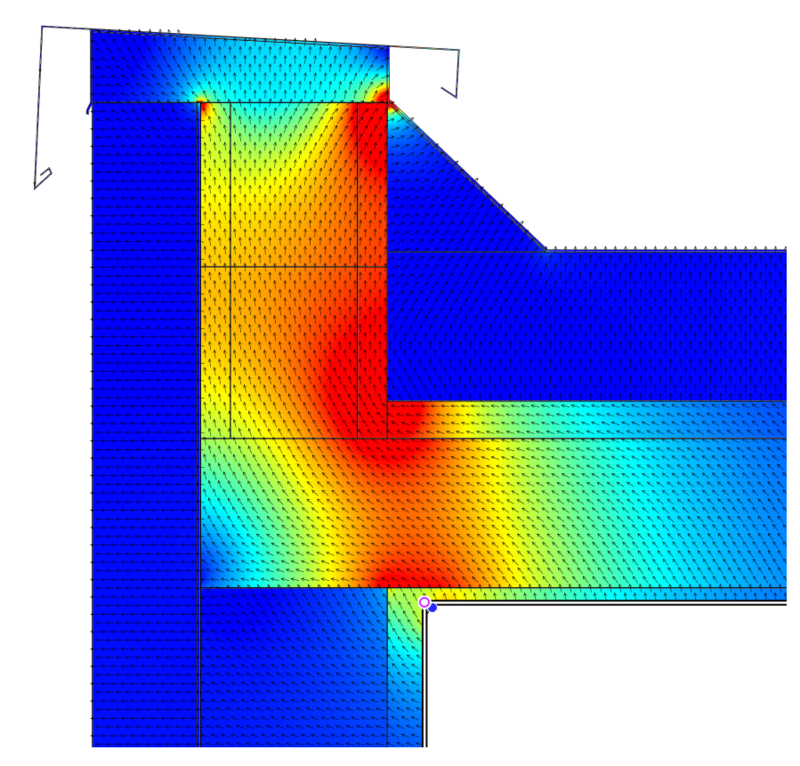 This value is also used to assess the risk of mold, but is independent of the actual temperatures used for the simulation. In our example below you can see that the thermal conductivity of concrete or even reinforced concrete should not be underestimated. 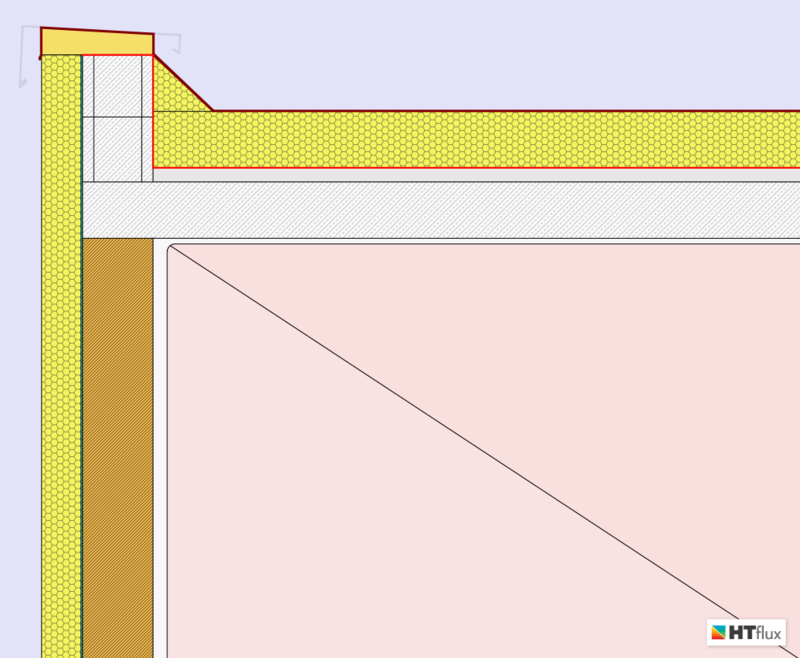 The attic construction shows a strong thermal bridging effect. 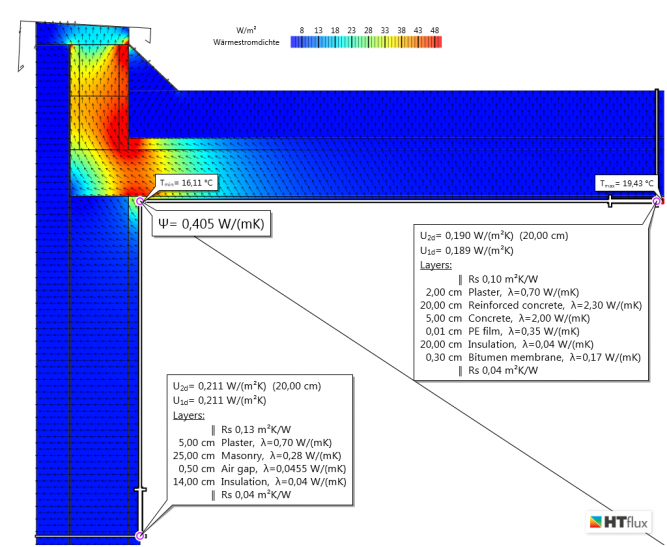 There is a heat loss of 0.4 watts per meter of construction and degree Celsisus. Assuming a temperature difference of 30 °C and a surrounding attic with a total length of 32 m would therefore cause a heat loss of approx. 400W.